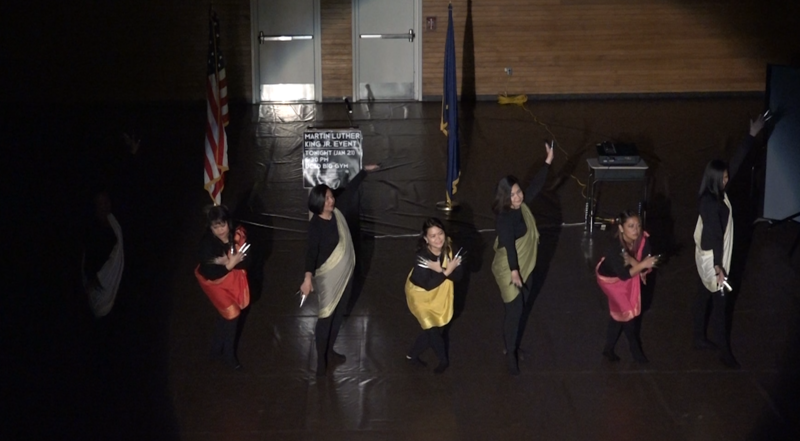 The Samoan Association of Unalaska dazzled the audience with four different dances during their performance. The 11th annual Martin Luther King Jr. Day Celebration took place on January 21st at 6:30pm at the PCR gymnasium. The theme this year was “Our Home” and the Unalaska Parks, Culture & Recreation coordinator, Carlos Tayag, was the master of ceremonies. As the MC, Tayag encouraged the audience to ponder the meaning of “home” in terms of Unalaska throughout the celebration. Following the opening speech, the Unalaska Girl Scout Troup 381 led the “Presentation of Colors” followed by the Pledge of Allegiance. PCR Director Roger Blakeley gave an opening address and expressed the unity he feels as a member of the community. “I think America could take a look at how we do things here, and how we love each other, and how our community works, and maybe set the standard for everybody,” Blakey said. The first dance of the evening was performed by the Filipino-American "Bayanihan" Association of Unalaska, which was followed by a speech from James Vuong of the Unalaska Teen Council. The Fillipino-Amrican "Bayanihan" Association performs "Dayang Dayang"
Directed by Shannon Spring, the Unalaska City School band performed a song called “Shenandoah” by Frank Ticheli. Following the music performance, Alexia Rollin and Christine San Luis recited their winning entries from the Martin Luther King Jr. Poetry Contest. The final speaker of the evening was community member Theresa Tuavale. “I am thankful that I live and raise my family in such a wonderful community: a community that values education, and a community that feels like one big family. I love this community and I take pride in it,” Tuavale said. 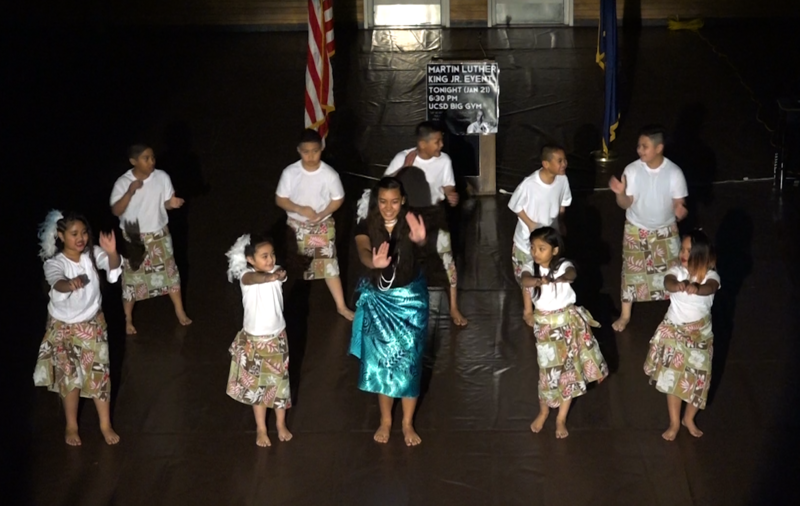 The evening ended with multiple rousing dance performances by the Samoan Association of Unalaska. After the event, everyone was invited to stay for refreshments. To see this event in it’s entirety, watch Channel 8 TV on Wednesday, January 23 at 8pm, Friday, January 25 at 8pm and 10pm, or Sunday, January 27 at 8pm.